Although only the size of West Virginia, Costa Rica offers you a lot of choice when it comes to places to live in terms of landscape, climate, amenities, and lifestyle. Quiet countryside with your own little homestead carved out of the jungle. A bustling beach town with a party every night. A mountain town where the highlight of the week is the farmers’ market to pick up the ingredients for that weekend’s big dinner with friends. It’s all in Costa Rica, and much more. Of course, anywhere you choose to settle down, you can enjoy the benefits this little Central American country is known for: lower cost of living, good value real estate, high-quality medical care at a low price, warm weather year-round, and a thriving expat community. 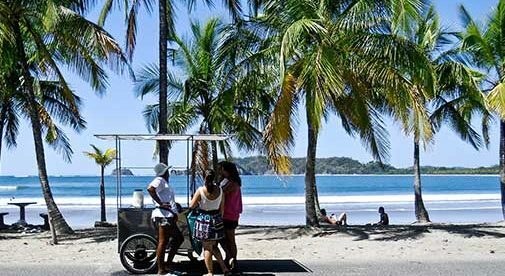 Not to mention happy, friendly locals—you know about Pura Vida, right? 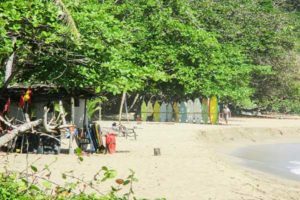 It basically means “Life Is Good” and that’s certainly the attitude most ticos (Costa Ricans) have…which has rubbed off on local expats too. Here are three of my favorite towns in Costa Rica, which each offer a different lifestyle. Nestled in the coffee plantation-studded hills and mountains of the Central Valley, about an hour west of the country’s capital, San José, is the mid-sized market town of Grecia. 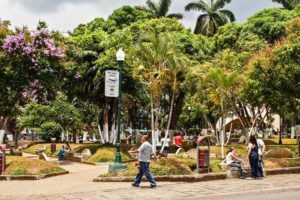 The town is laid out on a grid, with a well-kept central plaza full of mango trees and park benches seating young couples, families watching the kids play, and retirees visiting with friends. Grecia’s main plaza forms a focal point for this mountain town. Most expats here live in the communities in the surrounding area, with hillside homes with views of the valley below. Thanks to the elevation—most people live at altitudes from 2,500 to 5,000 feet—the temperature gets into the mid 80s F during the day and dips into the 60s F at night. It has a rural feel, with plenty of conveniences in town. This beach town on the northern Pacific coast has been a popular surfing destination for decades. Surfing is still huge here, thanks to the consistently good waves. 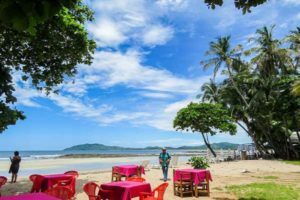 But if you just want to stroll on the expansive beach or enjoy breakfast, lunch, dinner, or happy hour on the water, with your toes in the sand, you have plenty of options there too. Tamarindo offers a laidback lifestyle by the beach. It’s grown a lot in the last few years in terms of services, housing (from beach condos to villas on the hill with commanding views), grocery stores, and more. But it remains fun and funky for people of all ages. The vibe is casual and the attitude, let it all hang out. One thing to watch for is the heat. We’re at sea level in the tropics, so it can be quite hot, although the sea breezes help. Costa Rica’s Caribbean coast is the least developed and least populated in the country. It’s a bit rougher around the edges. Mostly small villages, jungle, and farmland. But although good medical care, larger grocery stores, and other amenities are a drive away, many think the chance to live in the natural beauty of white-sand beaches, clear turquoise waters, and surrounded by wildlife-filled rainforest is worth it. Puerto Viejo sits on the rugged Caribbean coast. Puerto Viejo is the biggest settlement here, although it’s quite a small town. To the north and south, you’ll find mostly residential communities among the trees, most within walking distance of undeveloped, pristine beaches. No big resorts. No hotel towers. For those who want to get away from it all…it’s ideal.